This beautiful Italian salad has slices of tomatoes, fresh mozzarella, and basil leaves, drizzled with a simple dressing of olive oil, salt, and pepper. Its arranged to resemble the Italian flag colors. 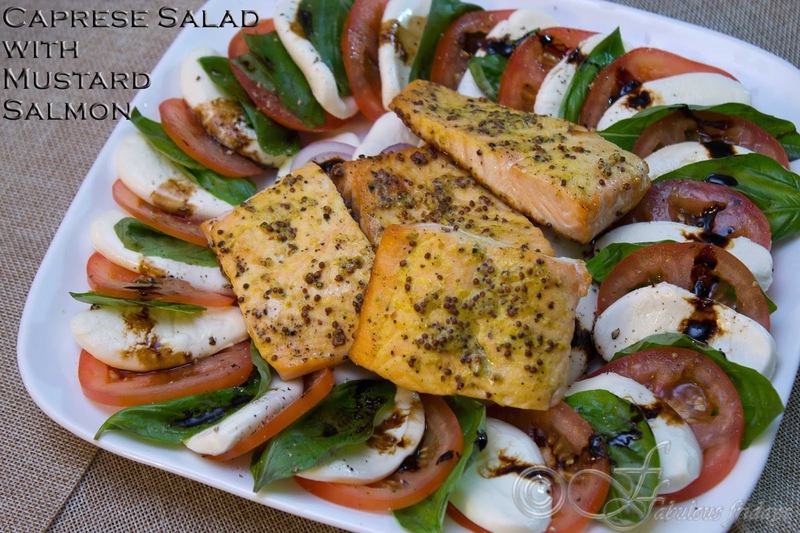 This fresh simple salad deserves the use of the best ingredients you can find. 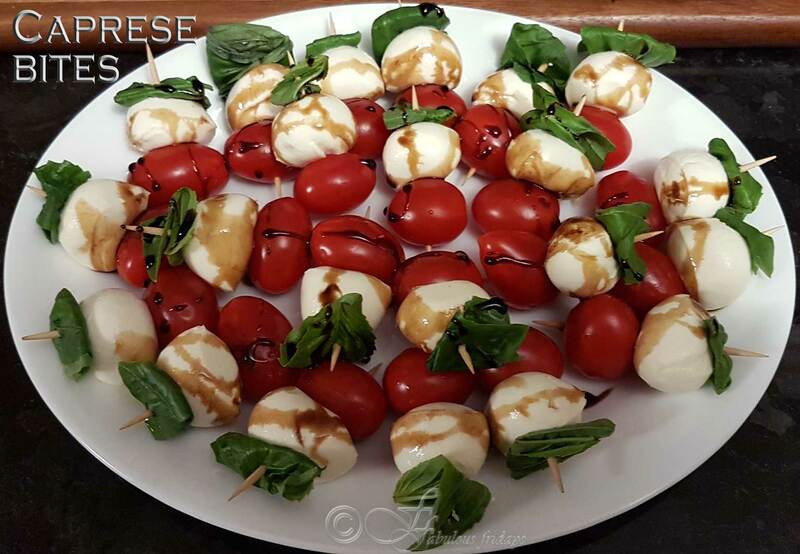 Buy the juiciest of tomatoes, soft crumbly (not rubbery) mozzarella cheese and extra virgin cold pressed olive oil. The salad tasted absolutely delish with just salt, pepper, and olive oil. However, I love a little drizzle of sweet balsamic vinegar reduction. 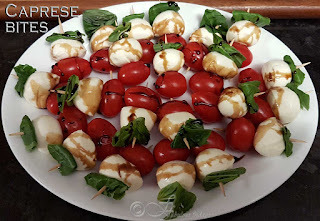 Use mini bocconcini and grape tomatoes to serve this on a stick. 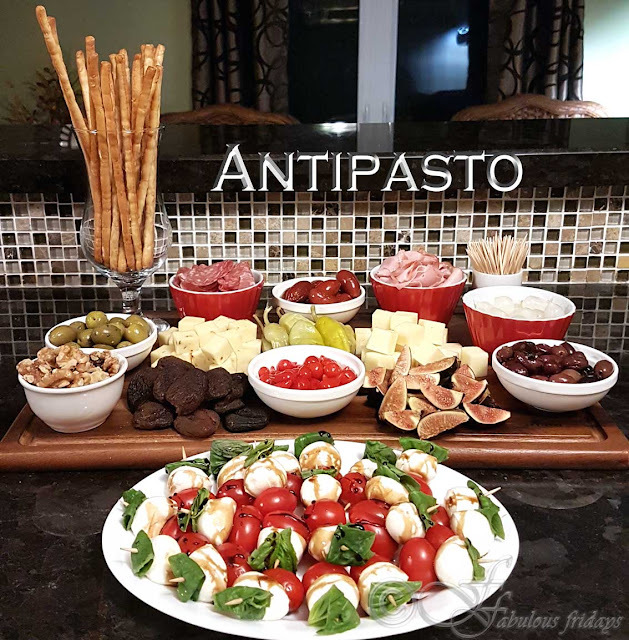 Makes for a colorful platter as a starter. The recipe below does not have any precise measurements as everything is as per your taste. As a variation, I sometimes like to add sliced red onions and cucumber as well. Make sure all the ingredients are at room temperature. For the balsamic reduction - Heat a cup of balsamic vinegar till it starts to boil, simmer for 10 minutes till it reduces to about 1/3 cup. It should still be of pourable consistency. Remove from heat and cool completely. 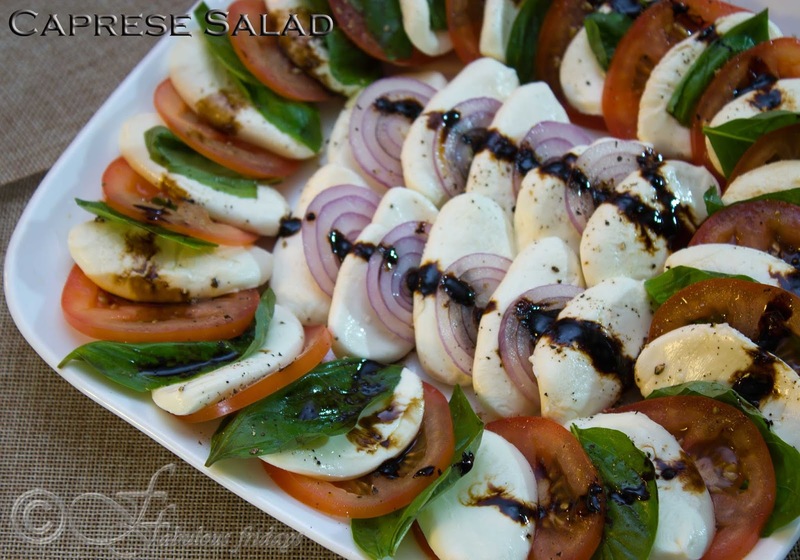 You can also purchase ready-made balsamic reduction from your local grocery store. Drizzle extra virgin olive oil, balsamic reduction and sprinkle salt and pepper. Season the fillets with salt and pepper on both sides. 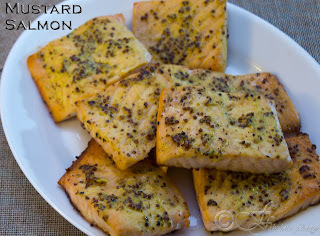 Mix mustard and mayonnaise and spread over the fillets. Grill them for 3-5 minutes per side till no longer pink in the middle.